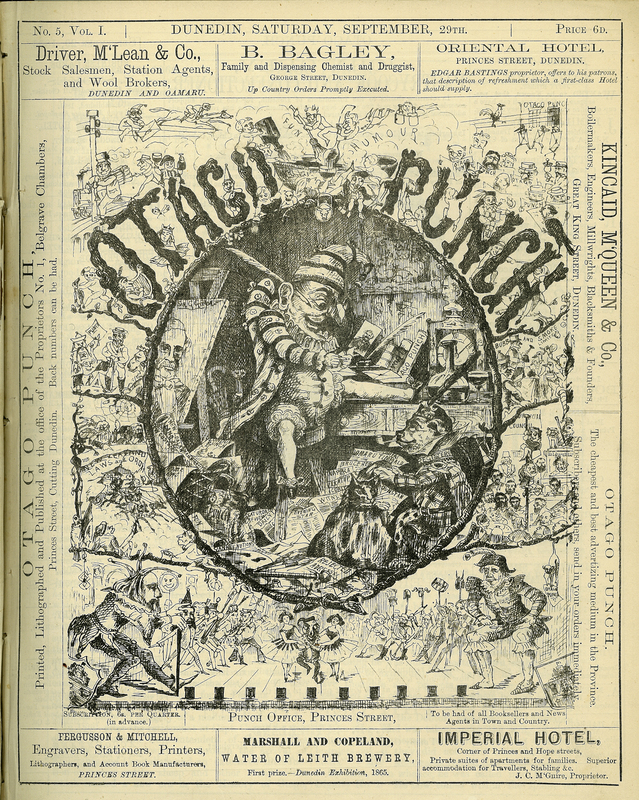 Otago Punch was a continuation of Dunedin Punch. It was printed by Charles Francis and published at the Office of the Proprietors between 1866-1867. There were some 26 issues. In 1888, another reiteration appeared in Dunedin: New Zealand Punch, which was a distinguished production and the last in the succession. Charles Francis, printer , “Otago Punch, Vol. 1, no. 5,” ourheritage.ac.nz | OUR Heritage, accessed April 26, 2019, http://ourheritage.ac.nz/items/show/10862.